Dominated by the majestic High Tatras, the pretty village has amazing pistes in spectacular surroundings. There are more than 200 resorts in Slovakia but Tatranska Lomnica is the one pushing for the top spot. It has invested €150m to add 5km of pistes, creating Slovakia’s longest run (6.5km), plus a four-seat chairlift, snowmaking, children’s ski school and slopes, new rental facilities, night skiing and bars. The skiing is fun rather than extensive, with just 16km of pistes, but it’s state-of-the-art, with runs going from above the tree line to deep within the forest, and with views very different from the Alps. 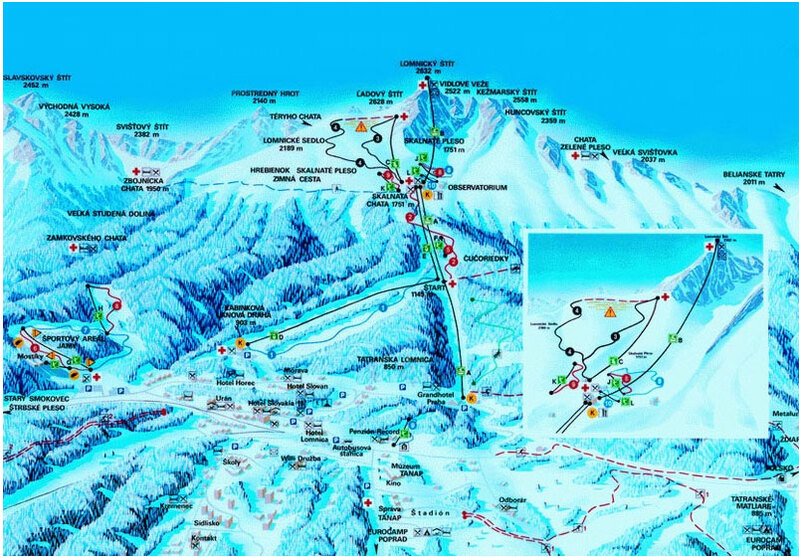 The resort has Slovakia’s highest (up to 2,196m) and steepest slopes, and central Europe’s biggest vertical drop, 1,300m. 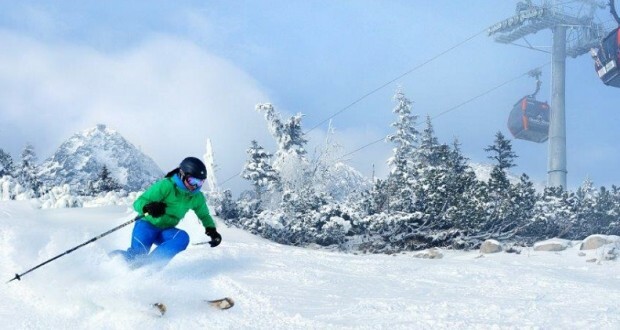 The wide, new slopes are good for intermediates, along with a snow park and freeride areas. Tatranska Lomnica, just a 20-minute drive from Poporad Airport, boasts the exquisitely revamped, chateaustyle, century-old 4-star Grand Hotel Praha as the centre-point of the ski village. Tatranska has a sister resort, Jasná, a 50-minute drive and on the same lift pass. Jasná is Slovakia’s biggest ski area with 34km of runs and three base areas. Poporad now has frequent flights from Luton with SkyEurope. If you rent a car, you can ski both resorts and see caves, ice caves, churches and hot springs.